The Master of Architecture II post-professional degree program was launched in 2009 to extend the vision and intellectual rigor of the undergraduate program and allow a further development of the school’s preeminent position in the education of architects. It is open to applicants with a first professional degree in architecture (Bachelor of Architecture or Master of Architecture I) from a program accredited by the NAAB or equivalent accrediting agency in another country. Applicants are required to complete a minimum of one year of work experience after obtaining their first professional degree before applying to the program. The design studio serves as a major component of the program. 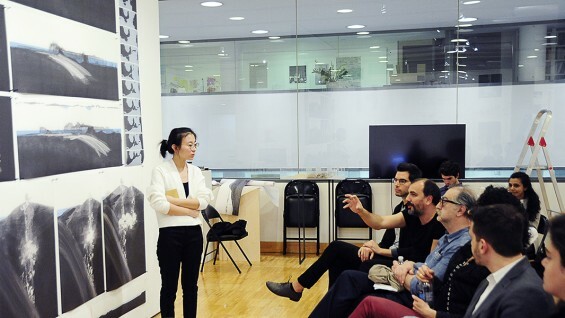 Seminars address issues particular to the interdisciplinary environment of the graduate program, making use of the varied resources offered by The Cooper Union. While the Master of Architecture II program is studio based, concentrations in one or a combination of three areas are offered: theory, history and criticism of architecture, urban studies and technologies. Prospective students will declare their area(s) of concentration during the application process. In addition to the existing curriculum of Advanced Design Studio work that culminates in a design-research Thesis project, advanced level seminars and workshops offer an intensive one-year immersion in the criticism, history and theory of architecture. Emphasis is placed on approaches to architectural analysis and history, the role and contemporary relevance of theory, and the relations between theory and design. Seminars will offer students preparation for careers in journalism, teaching, and eventual doctoral studies, with a broad understanding of the cultural conditions of architectural production and a concentration on excellence in writing. Analysis studios provide a deep insight into the formal and programmatic diversity of historical and contemporary architecture, the process of design, and potential avenues for new approaches towards theory and practice. 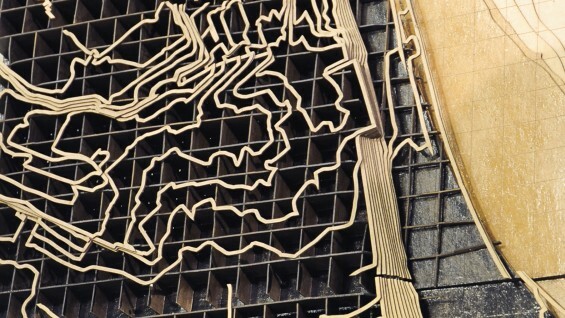 A required emphasis in Urbanism or Technologies of Representation allows for deeper investigation into specific areas of historical or contemporary architectural theory. 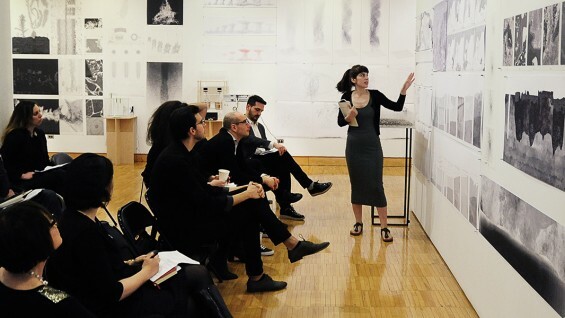 Faculty directly engaged with the Master of Architecture II program in studios and seminars for the current year include Diana Agrest, Hayley Eber, Pablo Lorenzo-Eiroa, Will Shapiro, Anthony Vidler, Michael Young, Tamar Zinguer and Guido Zuliani. Recent guest lecturers and visiting critics have included Aaron Sprecher (McGill University), Mary McLeod (Columbia University), Timothy M. Rohan (University of Massachusetts), Spyridon Papapetros (Princeton University), Alessandra Ponte (Université de Montréal), Dietrich Naumann (Brown University), Caroline A Jones (MIT), Brandon Clifford (MIT), Mariana Ibanez (MIT), Peter Laurence (Clemson University), Jean-Louis Cohen (Princeton University), Mario Carpo (Yale University), Andrew Saunders (University of Pennsylvania) and Anthony Richard Acciavatti (Columbia University), among others. Considers questions concerning the theory and criticism of modernism and contemporary architecture, the philosophy and aesthetics of architecture, the mediatization of architecture and broader cultural and historical issues through the critical readings of texts, the development of critical projects and a written thesis. Addresses issues central to the design, planning and development of cities and regions, including study of the morphological, social and cultural effects of globalization; the survival of local urban cultures; redevelopment of central cities, suburbs and exurbs; and issues specific to New York and comparative cities. 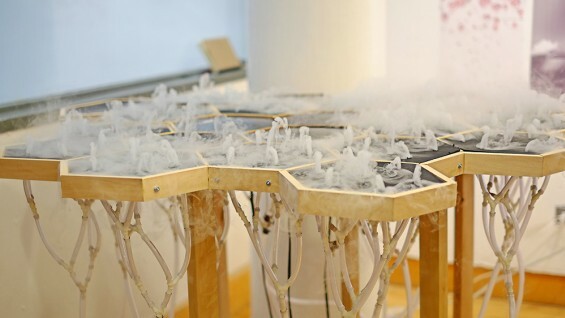 Focuses on technological issues of architectural design, representation, planning and production, such as the impact of new information technologies, new materials and manufacturing processes; hardware and software development; mapping and modeling techniques; and the technologies of fabrication as they influence new design strategies. This area focuses as well on the economic, ethical and technological dimensions and design potentialities of sustainability and developments in new structural systems, materials and building assemblies.